This is beyond cool. Arkansas Tech’s defense is nicknamed the Wonder Boys, and we can see why. 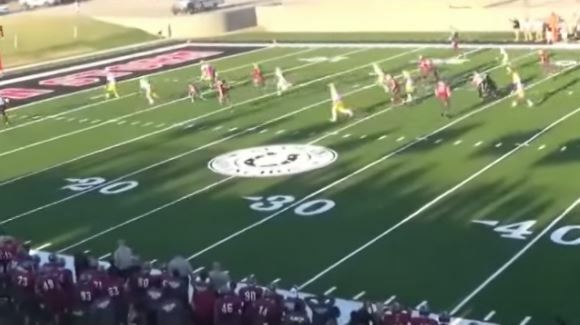 Tech only had 10 players on the field on its first play against Southern Nazarene in honor of Zemaric Holt, a 21-year-old defensive lineman who drowned in July. Even with the disadvantage, Tech turned that first play into an early lead after Southern Nazarene ran a trick play that went wrong, leading to a fumble recovery in the end zone.